If you are attracted to the Wallowas with its jagged, white-granite peaks, sparkling lakes, and wildflower-covered meadows in the Eagle Cap Wilderness, then you will love beautiful Wallowa Lake, "Crown Jewel" and gateway to the Wallowas. There isn't a better view of the Wallowas than from Wallowa Lake. The Village at Wallowa Lake has been serving visitors for generations. This area is a Mecca for the outdoor enthusiasts. The truth said, "Wallowa Lake has something for everyone and for all ages". 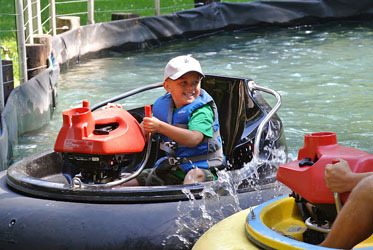 What visitors love about Wallowa Lake is the mix of fun they can have in one day! 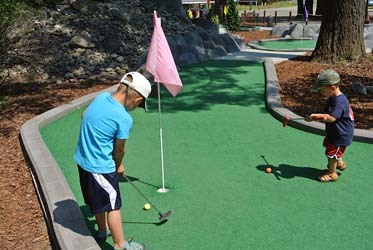 The young at heart are busy with go karts, horses, bumper boats or hitting a few rounds of miniature golf. 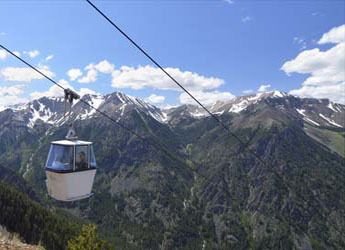 Afterwards, the entire family can head up the Wallowa Lake Tram for lunch at the Summit Grill and then hike the mountain top trails to absorb iconic views of the Seven Devils, Eagle Cap, and Wallowa Valley. There is always time to go to the lake for a little fishing or take the kids swimming. 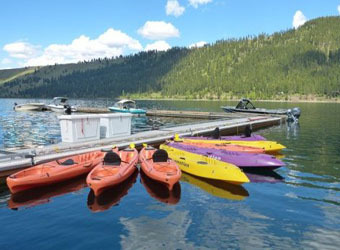 The Wallowa Lake Marina rents a variety of boats, canoes, and paddle boards. 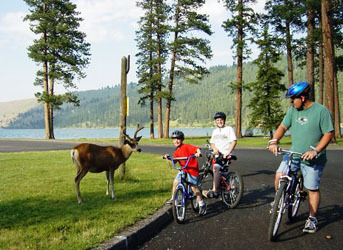 The Wallowa Lake State Park has both campgrounds and a picnic area on the lake. If your Wallowa Lake experience is on a grander scale for accommodations you'll be delighted to know the choices are many. 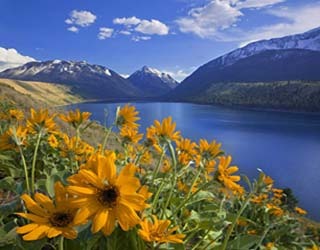 Cozy lake cabins, luxurious condos with a pool, or the beautiful Historic Wallowa Lake Lodge. One can truly relax here, unwind, and escape the world. A walk down by the lake, a view of the mountain peaks, and the ease of watching deer graze at the park -- it is perfection!.